Genevieve Gene. Garand was born in 1980 in Grand-Mere (Quebec, Canada). She practices and has loved various arts since she was old enough to hold a pencil. She won her first drawing contest at age of 6 and took to her first oil painting at age 7. As a teenager, she made a switch and made a few acrylic pieces for pleasure until the end of her studies in administration. Her 4 month job contract in Comoros Island in 2003 was the beginning for a magnificent artistic return. The hospitality and grace given from the people of Comoros Islands to Gene was insightful, generous, loving, and caring! All of these acts of kindness have given great influence to the collection she made and sold after the trip. 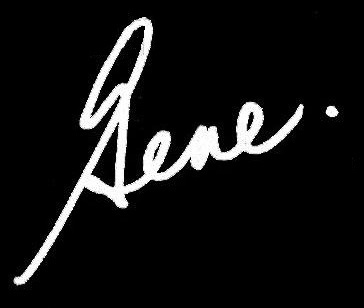 Gene studied with many great artists and went to Ecole des Beaux Arts de Montreal to improve on her style and skills. While being inspired by many subjects through her travels, she is also inspired by music. Over the past several years Gene has created a unique collection of country music artwork. As a highly talented portraitist, Gene has paint portraits of country music legends including George Jones, Kris Kristofferson, Loretta Lynn, and among many others. Gene travelled extensively with these paintings in hand to have them signed and lovingly completed by the subject of her paintings. For many of these legends of country music that we have endured, and for those who have left their impact on country music, she painted them on the different scenes of the Grand Ole Opry through the historic eras. Genes' collection has been featured in magazines in Canada, Texas, Ohio, also shown in iconic cities as Memphis, and New York! Gene has received the The Arts Club (Montreal) Gold Medal for this iconic collection.